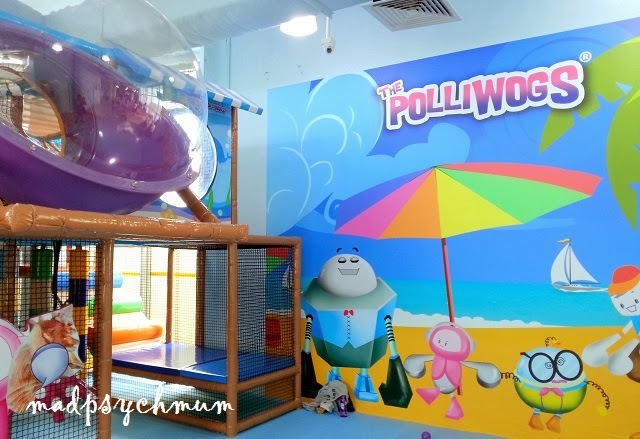 Anyway, the girl and I were invited to the newest outlet of Polliwogs at Vivocity many weeks ago. The mum-in-law thought that I should take her (even though I was on confinement) because my girl hasn't been out of the house (except to go to school) ever since we brought the baby home from the hospital. So with the mum-in-law's permission, I sneaked out during my confinement to bring my girl out for half a day of fun! I knew she would have fun since she had really enjoyed playing at Polliwogs at Robertson Walk previously. 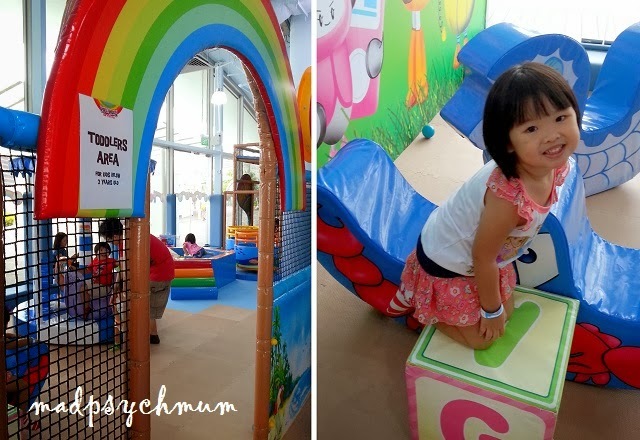 Similar to the Robertson Quay outlet, there were 2 areas of play: one for older children and one for little toddlers under 2 years old. 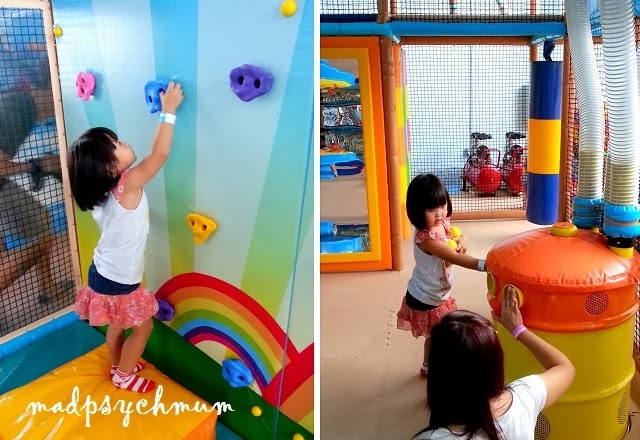 Both areas were considerably smaller than the Robertson Quay outlet so kids who are used to playing at bigger indoor playgrounds may be disappointed. My girl actually likes to play at smaller play areas because she can keep me within her view and find me easily (she doesn't like to get lost). She even likes to play at the toddler area even though it is way below her age group, simply because it is less "scary" (she is definitely not a daredevil). 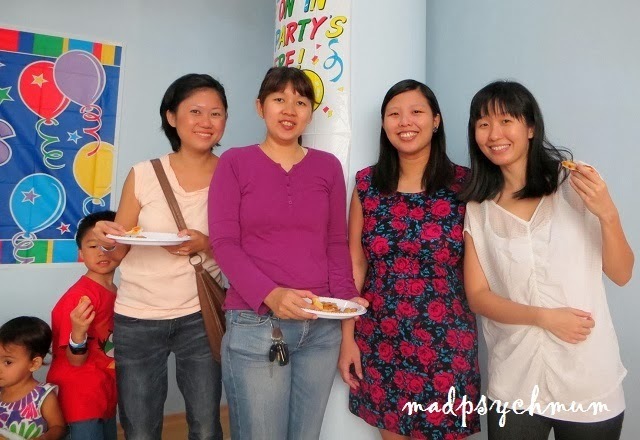 As for me, I had a great time catching up with the other mums! It was great to be able to mingle with the "real world" again after being cooped up at home for so long (I don't do well with cabin fever).